Dr. Jared Kern physician at Alaska Foot & Ankle Specialists is competing in the 2014 Kesugi Ridge Traverse in Denali State Park. 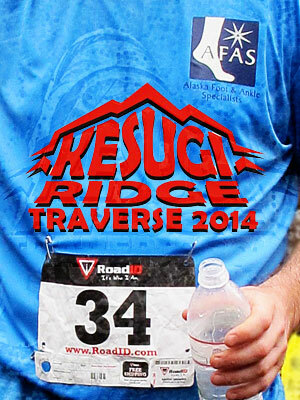 The 2014 Kesugi Ridge Traverse is a 30 mile ridge run with over 5,000 feet of elevation gain through the Alaskan tundra with amazing views of Denali and the Alaskan range. Race participants start at Little Coal Creek Trailhead and finish at Byers Lake.